Hi everyone! So now that I’m writing a weekly column here, I decided to try and come up with a cool sounding name for my segment! Sadly, Drafters’ Corner was my best idea. Hit me up if you have any good suggestions! If I adopt your suggestion, you will get to choose the content for one of my future articles! For my first actual article, I decided to try something interesting, discussing the draft format with another top draft player! For anyone who watches Eternal on twitch or follows the DWD monthly leader board, I am sure Mann_Und_Mouse (MuM) is a familiar name. MuM is an Eternal twitch streamer that streams almost exclusively drafts and a regular presence in the DWD top 100 drafters list, including multiple Rank 1 finishes. If you have never watched his streams, I would strongly recommend checking it out at https://go.twitch.tv/mann_und_mouse. 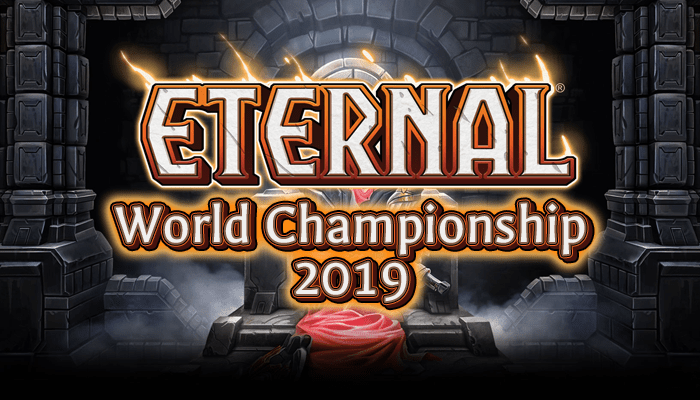 MuM has a variety stream from 10am to 3pm where he plays loads of other games and streams Eternal drafts from 4pm to 10pm (all times in GMT+2). Flash: Now that we had a few months to draft with set 2, how do you feel about current draft format (2 packs of Omens and 2 packs of Empty Throne) as compared to the old format (4 packs of Empty Throne)? MuM: My personal experience is that it’s much harder now to draft decks with a focused game plan, due to the limited synergy between Set 1 and 2. The current draft decks often feel more like an accumulation of good cards with no specific game plan other than having more impactful and better cards in your deck. Flash: That’s interesting! I actually have a slightly different feel for the format. It seems like the decks now fall under 3 broad archetypes (aggro, fliers, value-orientated) and exist in a rock paper scissors type of relationship, where aggro decks beat fliers, fliers beat value-orientated decks, and value-orientated decks in turn beat aggro decks. MuM: I agree that these archetypes exist, but they don’t feel as specialized anymore, especially the aggro variants. It is not uncommon for decks to lead with some aggressive units (e.g. Oni Ronin, District Infantry) and then continue to curve out into Pillar of Amar or Roosting Owl. Flash: Yup, that is true. From this, I gather you preferred the old draft format? Flash: What about a pure set 2 draft format then? Do you think that would be interesting? MuM: It probably would be a rather slow format, since the power level of the Set 2 cards is significantly lower than in Set 1, especially when it comes to early plays. I certainly wouldn’t mind giving it a shot. My prediction is that Praxis decks would take a dominant role, because warp is such a powerful keyword and both Time and Fire have very good value units at common rarity. I would love for Workshop Forge to be playable! Flash: That seems like quite a reasonable guess. I also wonder if lifeforce-centric decks suddenly become much more viable given you have 4 packs to draft payoffs, although you lose the best enablers in Sanctuary Priest, Amaran Camel and Karmic Guardian. MuM: Lifeforce might even get there, but yes, you do lose some very good enablers. However, it would be easier to draft a high density of decent payoff cards with the somewhat mediocre enablers set 2 has to offer and potentially end up with a better deck. Flash: Yup, the amethyst ring and skeeter are probably the first things that come to mind in terms of lifeforce enablers. MuM: I think Argenport and Skycrag might be the faction pairs that suffer the most, since they lose some crucial cards from set 1, namely good weapons and combat tricks for Argenport (e.g. Blackguard Sidearm, Glided Glaive, Finest Hour) and good tempo cards for Skycrag (e.g. Torch, Jarrall’s Frostkin). Flash: This leads very nicely to my next question, what do you think about the 5 new keywords that we’ve gotten with set 2? Which is your favorite? MuM: I absolutely love warp, since I’m a card draw addict. From a gameplay perspective I think spark is the most skill-testing keyword. Setting up plays so you can trigger your spark when you need to can make or break a game. I think the developers have managed to hit the sweet spot with a lot of the warp and spark cards, most of them are fine playable cards on their own and become really good when you activate their keyword. Flash: Yes, I agree spark is a very skill-testing keyword and it definitely altered the play patterns a lot. In set 1 draft, when my opponent swings with a Stranger into my Stranger, I tend to not block. However, nowadays, I almost always block because I’ve been punished too often by a turn 3 sparked Clan Hero. MuM: Yeah, it makes you evaluate every block carefully when playing against decks that can run spark cards. MuM: Revenge seems like a really good value keyword on paper, but it just feels too random. Sometimes you just draw the card back instantly and win the game due to that. Sometimes you just die after 8 draws, with your opponent being at 2 life and the destiny Stonepowder Alchemist still in the deck. Flash: I think revenge is the worst keyword in draft because it is too variable. Given how many draft games are balanced on a knife edge, hitting a revenge card 1 turn earlier or later can easily swing the game. I think a rework where they restrict it to a smaller range, such as 3~7 or 4~6 would help balance it out. MuM: I agree that the randomness is too high. You have no reliable way to plan your plays after you have a revenge trigger, especially with the limited card draw and deck manipulation that Shadow and Justice have to offer. I would prefer to remove the randomness completely and make it come back after 5 draws. However, I’m not sure if it would be too good then. A smaller range would certainly help alleviate the problem though. MuM: Oh, and don’t get me started on Mentor. There are some serious balance issues when it comes to this ability. The payoffs are mostly not big enough for the very significant price of exhausting your unit in addition to paying the power cost. I was thinking about a potential fix for Mentor, where it gives you a choice: Gain a temporary buff / smaller effect and not exhaust or exhaust and get the full effect. Flash: It seems that Mentor is your least favourite mechanic? I’m surprised because I feel that mentor makes for interesting gameplay decisions, such as do you want to exhaust a unit in the short run to trigger a benefit in the long run? However, I do agree with you that most mentor payoffs are not big enough to justify the tempo loss from exhausting a unit. The mentor cards that do work (Sparring Partner, Dragonbreath, Skywalk Instructor) still seem quite viable in this meta. Perhaps we just need to improve the benefits of weaker mentor effects? MuM: I like the idea of Mentor in general. Trading tempo for additional value can lead to some interesting gameplay decisions. But for most Mentor effects, it feels like you are just playing a worse version of a card that is already in the game (e.g. Skywalk Instructor vs. Cobalt Acolyte). Reworking some of the weaker mentor effects could be a solution. Another would be to implement more cards that give you a payoff for being a student like Highbranch Sentry. Flash: Ok, so now onto probably the most debated mechanic: Lifeforce. I think there are many drafters who feel that it is a bad mechanic, even some who think it is a flat-out trap. What are your thoughts on it? Do you avoid it as much as possible? Flash: Yup, I think this is a big problem with most A+B strategies. Without sufficient density of both, it seems too hard to make work. I was wondering if you had any thoughts on how to improve lifeforce? MuM: Lifeforce in some sense is the opposite of Mentor. While Mentor is easy to synergize, the payoffs are usually not there. Lifeforce has some very strong payoffs but it’s hard to activate. So maybe toning down the benefits while buffing the enablers to make them standalone playable could be a way. If you limit the lifeforce activation to 1 trigger per turn for cards like Katra and buff cards like skeeter to a 2/2 flier, that would certainly help out to make lifeforce less of an all-in theme. Flash: Those are some valid ideas and I would love to see lifeforce work more in draft. Although I might regret it if Bloodcall Invoker/Katra decks become commonplace! MuM: Oh god, maybe we should keep it like it is! Another thing that makes lifeforce and revenge currently the weakest keywords is that they basically get completely eradicated by silence. And set 2 introduced 3 new silence cards at common rarity (Bring Down, Purify, Archive Curator). All the other new keywords get their value before your opponent has a chance to interact. Although you can sometimes get lifeforce triggers in the same turn, it is more of an exception since its pretty difficult to combo off in one turn. Flash: My next question is regarding what sort of deck do you build. Have you been sticking to the conventional 2F, 2F+splash decks or do you prefer the new and edgy 4F, 5F greed piles? Also, which do you find more success with? MuM: I’ve tried to embrace the multifaction greed, after facing an ever-increasing amount of those decks. They all seem to exhibit more consistency than they should. Unfortunately, it didn’t work out for me and it is also not the type of gameplay that I enjoy. I prefer the conventional 2F+splash decks with as much consistency as I can muster. That being said, greed piles seem to perform reasonably well in this format as far as I can tell. I have been crushed too many times by opponents playing the best of all 5 worlds with little regard to what is considered “proper” deckbuilding. (e.g. splashing multiple 2 drops from different factions, playing triple influence faction cards despite being in 4F/5F). I think there are multiple reasons for this. The format has certainly slowed down, mainly because aggressive decks are less focused. There is more fixing available in set 2 on average given the small set size and I feel that the drafting process has become more difficult. So, people often end up with a bunch of playable from multiple factions and try to work them all into a deck. Flash: Yes indeed, I still find most success with straight up 2F or 2F+splash decks. I just like to console myself that those greed piles will probably lose their other 3 games due to color screw. I also feel that it is much harder to find your ‘lane’ in the draft too, especially because more people are picking 4F, 5F greed piles, which gives very confusing signals. MuM: That has been the most frustrating experience for me in Set 2 draft in general. Signals have become very unreliable, making it really hard to draft your seat correctly and decreasing some of the skill involved in the draft process. As a result of that, I’ve adjusted my drafting to prioritize fixing highly in the early packs to be able to mitigate the effect of contradictory signals. Flash: Yup, it seems like a common trend among top drafters to prioritize fixing heavily. On that note, do you have any other tips or tricks for drafters out there to improve their draft? MuM: Apart from the usual ones, I think one less obvious trap in this format is going too heavy on the clunky removal like mortar and gun down. While they are certainly good if you are ahead on the board, it is hard to claw your way back into a game with them since you rarely can do two plays a turn when your removal spell eats up all your power. MuM: Yeah, I often find myself in a position where I had no good early game, with 2-3 Mortars and Gun Downs sitting in my hand and was forced to decide whether to play unit or use a removal spell. This often feels like a gamble since the right play depends heavily on your opponent’s hand. The clunky nature of these spells also means that if you have a lot of these spells in your deck, you should make sure you have a really solid early game to allow those spells to shine. Flash: Yup, that is definitely true. I think one of the archetypes I had the most success with is aggressive Skycrag decks with cheap minions backed up by Gun Downs and Mortars. MuM: Yes, that is my experience as well. Those spells seem to work better as curve toppers for aggressive decks rather than removal options for the midrange and value-orientated decks, since you usually have plenty of plays to spend your power on in those decks anyway. For those deck, the better approach is to just drop minions with high stat lines (e.g. Cannonbearer, Striped Araktodon) and use those as “removal spells” to trade or blank the enemy board. Flash: Do you have a favourite faction pairing to draft? MuM: For me, Elysian is my favourite faction pairing. A good Elysian deck has access to so many different tools, especially with a splash. You get the rock-solid minions of Time, the air force of Primal and Elysian, silences, board manipulation (Levitate, Flash Freeze), card draw and a really good removal suite if you splash. It also didn’t get changed that much in Set 2 either, you now have a new premium 2 drop in the little snake (Sand Viper), Archive Curator and Stormcrasher to add to your arsenal. And you don’t need to get that lucky in set 1 either, most of Elysian’s good cards are at common level (Pteriax Hatchling, Jarrall’s Frostkin, Serpent Trainer). Personally, I feel that the three strongest factions right now are Praxis, Skycrag and Elysian, in no particular order. If I can trust my spreadsheet Elysian certainly is the most consistent one over a large number of games. Flash: That’s interesting. I rarely find myself in base Elysian, but I have played many Skycrag decks with a Time splash or Praxis decks with a Primal splash so I definitely agree with your assessment of 3 strongest factions. Hatchlings are probably the best dual faction common in my experience. I also wonder if you think that there’s any noticeable difference between set 1 faction pairing vs set 2 faction pairing? I personally find myself drafting set 2 faction pairs more frequently because I feel that given the lower power level of set 2 cards, having access to their multi-faction cards gives me more choices and allows me to build a more evenly powered deck. Drafting set 1 faction pairs gives me access to very strong dual faction cards in the Throne packs, but the trade-off is very weak cards in the Omens pack, which leads to a deck with very variable power. MuM: I agree that most Set 1 factions took a hit in their power level, especially Feln and Rakano. Stonescar also feels slightly weaker, mostly due to the fact that Set 2 Shadow is pretty weak. I try to stay away from Shadow as a main faction. My main pull towards the new factions is the removal which is mostly dual factions. This is another reason why I prefer Elysian. Being close to Time and Primal gives you easy access to Purify, Mortar, Dragonbreath and such. I think Elysian is the easiest of the old factions to draft right now, thanks to the Primal and Time commons having an above average power level in Set 2 with fire being slightly behind. But then again, I did draft multiple Hooru and Rakano decks, so I guess it is kind of my fault. Flash: Interesting, I agree with Rakano being weak, but Hooru has actually being one of my better performing faction pairs. MuM: Many people report that Hooru is one of their better factions, and I want to believe that. It looks very good on paper, but for some reason I can’t get it to work. It has been my worst faction by a significant margin last season. Flash: That’s quite surprising. I guess when I run into you in draft next time, I should hope to see you in Hooru then! MuM: Yep, all you need to do is hit end turn. I’ll defeat myself. Flash: I just wanted to circle back to the point about Shadow being weak. I think part of the weakness stems from the fact that it’s strength was in the removal options it provided (Annihilate, Suffocate, Execute, Feeding Time). However, because there are increasingly more 2F+splash decks and 4F/5F greed piles, the removal always gets snatched up even if the drafters before you are not drafting Shadow as a main faction. Thus, I was thinking something like making Execute and Annihilate require SS influence instead of S influence might actually be a buff to Shadow in draft. Do you agree? MuM: That’s an interesting thought. It would definitely help to bring Shadow back to a proper main faction. As it stands right now, you are paying a price if you go into Shadow because your minions are generally pretty underwhelming. Thus, if you don’t get your “support” cards in form of removal you are usually fighting an uphill battle on the board. So, making Shadow-based removal spells harder to splash would certainly make it more likely to get passed. I like that idea. However, for me the main reason for Shadow being pretty weak right now is that most cards have a pretty low power level, especially at the common rarity in set 2. You have your Longshot Marksman, which is fine but it gets outclassed quickly until later in the game. Extract is decent removal but apart from that, a big chunk of Shadow cards is dedicated to lifeforce and like we discussed earlier that is not a place where you want to be at currently. So, you are relying heavily on Set 1 to carry you and if you invest early on into Shadow and then get cut, that is an easy way to end up with a messy draft. That leaves us with another option to make Shadow more viable and that is to have better support for the lifeforce theme. Flash: Yup, I definitely feel like Shadow has some abnormal power distribution across the different rarities. The commons are weak as you’ve mentioned, but it has arguably two of the strongest set 2 rares in Memory Dredger and Slimespitter Slug. Flash: There’s also been 4 new buffs to commons that came with the latest patch. What are your opinions on each of them? Topaz Drake is in an interesting spot now. A 5 attack charge unit in the air is no joke and while it didn’t seem like a big buff, your 7 drop can no longer be bounced by Towertop Patrol or Highwind Glider, which was previously a pretty big downside. Flash: I still feel wary about the drake though because 3 health means it trades with most fliers or even a torch/purify. MuM: Yup, he is still too big of a risk for a 7 power investment. I liked the buff on Cabal Bludgeoner, a 3/3 for 4 with a scary upside is certainly playable. He’s still no Xenan Guardian but he’s ok now. The Valkyrie Militant buff is the winner for me, gaining 2 armour whenever you equip a weapon is pretty scary. Curving Valkyrie Militant into Mithril Mace or Duelist’s Blade is a pretty easy 2 or 3 for one now. it also makes it really hard to race if your opponent has an emerald ring running and this guy on the board. Flash: That’s actually a really great point that I didn’t consider, Valkyrie Militant curves naturally into the common Justice weapons on 5 (Mithril Mace, Scepter of Nobility, Duelist’s Blade). Now that we’ve talked about it, I think I’ve definitely underestimated the impact of Valkyrie Militant’s buff. MuM: Even if you don’t have any weapons to play on curve, he can turn a Sword of Icaria into a Mithril Mace with warcry or allow your Talon of Nostrix to pick off 2 strangers. Flash: Now in terms of the entire card pool, which do you think is the card that is most consistently underrated/overrated by most drafters? MuM: I think Flash Freeze was underrated for a very long time. There is no single card in Eternal that singlehandedly has won me more games, I still don’t see it all that frequently. I think some of the new removal spells are currently overrated. While I think they are fine, their clunkiness should not be underestimated. I find myself lately skipping over those in favour of some solid units. I think one of the most overrated cards in the past was Striking Snake Formation (SSF), when I started drafting Eternal it was praised as a bomb. Flash: Yup, I definitely think SSF was overvalued in set 1, but I do think it got slightly stronger in set 2 because board stalls feel more common and it also allows your ground based units to take out the small fliers. MuM: Yeah, I agree on that. I am guilty of undervaluing Harsh Rule for a long time. I’ve come to terms with the fact that for a long time I was just not good enough at the game to play it properly in draft. It is a very difficult card to set up right, but oh boy is it good when you manage to do so. Flash: I think that Harsh Rule is a very polarizing card. It feels like a card that you should only play in your deck if you are sure you have a better late game than your opponent. Because otherwise, even if you get card advantage from harsh rule, you are effectively resetting the board and letting your opponent go first. Flash: Yes, I definitely agree Sandstorm is way undervalued, especially in this format where a significant portion of games are decided by fliers. MuM: What are your top over/underrated cards? Flash: I think Initiate of the Sands is one of the most underrated cards in draft. Most people coming from constructed has a mindset that it is too fragile and dies too easily. However, ping effects are a lot rarer in draft and being able to get the tempo advantage on your opponent make initiate much better than it seems on paper. MuM: Yep, guilty. Took me a while to realize that Initiate of the Sands and Avirax Familiar are pretty playable. However, I’m still wary of x/1 minions most of the time. While there is no Vara’s favor in draft (thankfully) there are still plenty of ping effects in form of snowballs, Stormcaller, Amethyst Acolyte, etc. Flash: Yup, I think that the buff to Avirax Familiar was very critical to it becoming playable. As a 1/1 for 3 that dies to pings it was near unplayable, but a 1/2 for 3 and it suddenly becomes a good card. Another card that I think people underrate significantly is Bring Down. Not only does it answer all fliers without aegis, it can be a fast speed silence as well to remove effects such as deadly and quickdraw during combat. I think bad lifeforces cards are probably the first overrated cards that come to mind, namely Disciplined Amanera and Cabal Slasher). Disciplined Amanera needs 2 triggers to actually be better than an average 3-drop while Cabal Slasher has no evasion so no matter how many lifeforce triggers you get, it still trades with a 3/3. I think that these cards are a major source of why people think that lifeforce is a trap. Once they start drafting lifeforce, they start picking these bad cards over solid Time units like Striped Araktodon. Flash: Speaking from personal experience, you are probably one of my most dreaded opponents because your decks are definitely solid and more importantly, you hide your pauses extremely well, which makes my attacks and blocks always so nerve-wrecking. What about you? Is there a player that you hate playing against? MuM: I do. Sadly, I’ve forgotten his name. Back in the days of set 1 there was this one player that always absolutely styled on me. I battled him a total of three times. The first time he used Spell Swipe at a critical moment for a total blowout. In the next game he used Subvert to steal my Harsh Rule that I tried to setup for multiple turns. He topped that in our last game by pilfering my Thunderstrike Dragons. He was an absolute master. Apart from that old feud, I really dislike seeing the name pchapin on the opposing side of the board. No matter what I do he always seems to have an answer and his Harsh Rule in our first game has left a scar in my soul to this very day. Flash: Haha, that sounds like a nightmare indeed! Well, I think that’s all for today! Thanks for taking the time to talk to me and sharing your wisdom with us! I hope you found this interview/chat as insightful as I did! Let me know what you think in the comments below or on reddit! Also, do feel free to suggest other drafters that you think I should interview or other topics you would like me to cover. For those of you who have already given suggestions, quite a few of them are already in the works, so keep your eyes peeled! Previous Post: Going Deep – Ultra Puzzles! !